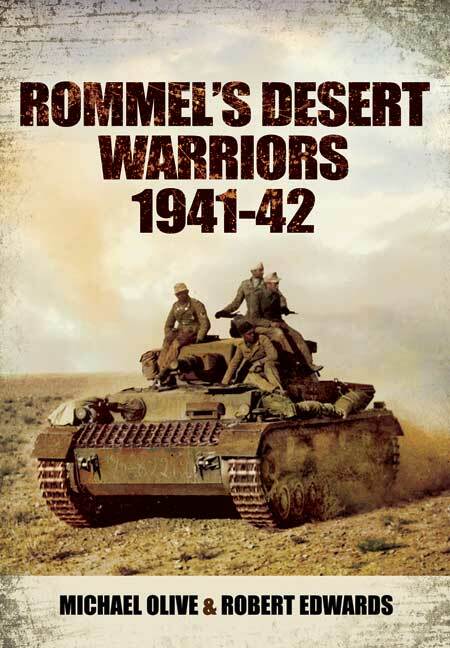 You'll be £19.99 closer to your next £10.00 credit when you purchase Rommel's Desert Warriors. What's this? ROMMEL'S DESERT WARRIORS 1941-42 is a highly illustrated record of the Afrika Korps in Libya and Tunisia during the North African Campaign of World War Two. Formed in the early months of 1941, Hitler personally chose Erwin Rommel to command this elite group but neither could have foreseen the extraordinary levels of success that the corps achieved. After being quickly cobbled together from a number of smaller regiments, the goal of the Afrika Korps was to bolster the failing Italian forces in the area and stem the seemingly tireless flow of Allied attacks. Through a series of epic battles and counter attacks, they were eventually able to drive the Allies to the very fringes of Egypt. Fighting over difficult and immensely hostile terrain, troops had to endure extreme weather conditions of the North African desert, as well as being almost constantly outgunned and outnumbered. The Afrika Korps were eventually undone at the Second Battle of El Alamein in November 1942, marking a pivotal turning point in the entire war. Using an extensive collection of rare and previously unpublished photographs, together with detailed captions and accompanying text, Rommel's Desert Warriors 1941-42 provides a unique insight into the troops, uniforms, desert terrain, tanks, weapons and much more. making this an ideal reference for Second World War enthusiast, re-enactors, scholars and modelers alike. On first impression the book appears concise and clearly presented, which does not disappoint after further reading. The foreword and introduction are well written and do a good job at outlining the historical context surrounding its core subject, while the main body is literally crammed full of high quality black and white imagery that has been set out into specific genre chapters, covering the various branches of Rommel's Afrika Korps. What really brings this book into its own is how it captures the human input of the photographer and their subjects. We often hear about the chivalry of the Desert War and are familiar with photographs, memoirs and experiences, mostly from Allied perspectives, but this offering reminds us that those fighting in the Afrika Korps were no more different than those they faced, being soldiers, and above all else, young men. The images themselves are packed with details which will no doubt surprise you even after several reads. The authors' approach is genuinely refreshing, creating a book that can equally be picked up and browsed over a coffee, or studied deeper at greater length. While it is not overburdened with text the fact that the majority of period imagery are previously unpublished, and far from being press photographs or well known image stock, make it a most attractive publication. Michael Olive has been researching military history for decades, with a focus on tanks and aircraft. He lives in British Columbia.